Oolong tea with honey has long been a popular beverage in many Asian countries, including mine, not only for its flavor, but also because of the well-accepted health claims of honey and tea. I've never been too curious about oolong or enquired much into its unique qualities before, but a leisurely visit to an oolong tea plantation in Taiwan led me to a quest to scour for more information about the benefits of oolong, which in turn led to a stunning discovery of what it could do for those who are having trouble with losing pounds. "Polyphenols in Wu Long Tea are believed to increase energy expenditure translating to a 35-43% increase in fat burning." "Oolong Tea suppresses the appetite while moderating blood sugar levels, reducing the side effects (eg mood swings) of consuming sugar products." "Drinking Oolong tea 15 minutes before consuming carbohydrates lowered the spike in insulin in the bloodstream which reduced the likelihood for the body to store fat." 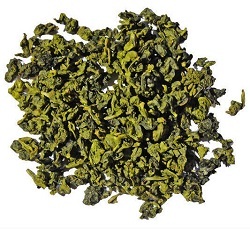 "Oolong tea increased the energy metabolism in Japanese women, shrank stubborn fat deposits and reduced cellulites." The lifestyle of drinking oolong is believed to be a traditional way of losing weight and promoting longevity for several thousands of years in China. Apparently this secret of Oolong as a metabolism booster and fat burner has crept into the Western world, and many Hollywood stars now have also discovered this recipe and used it to manage their weight with great results. 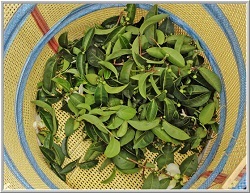 Oprah Winfrey and Rachael Ray for instance have publicly endorsed the consumption of oolong as a natural way to lose body fat effectively and improve body immunity. 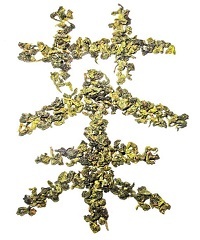 Like any foods, not all oolong tea leaves are created equal. 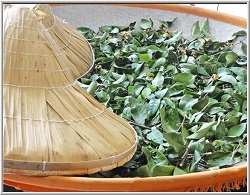 The source and quality of oolong do matter significantly in assessing its effectiveness on our body and health. 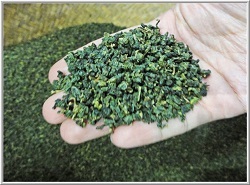 High quality premium tea has a robust, full-bodied aroma and possesses a distinctively sweet floral fragrance. To ensure its originality and authenticity and know exactly what you are eating, get your tea leaves from a trusted supplier. End of "Oolong Tea for Weight Loss". Back to "Perfect Match of Tea and Honey"